Have we addressed the problem I have with Harry Potter? And by problem, I mean that I am just a tiny bit obsessed. I had a boyfriend once ask me if I loved him more than Harry Potter and I had to think about it. 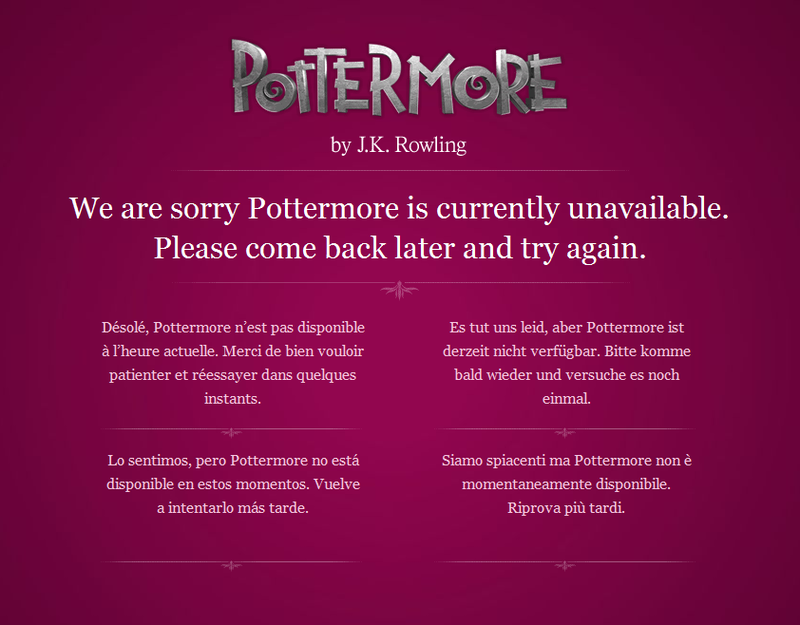 All weepy comments about how Harry Potter changed my life and has been, quite honestly, my first love and guiding light through all kinds of bumps in the road of my life aside: when Pottermore came to be–I lost my shizz. I’ve spent far too much of what could be my social life on this website. It’s incredible. I read along with the book and after each chapter, explore it through JK Rowling’s eyes. You can learn more about characters (Minerva McGonagall’s story is especially interesting) and settings, even minor details, adding life and details to the story to add a whole new appreciation to JK Rowling’s fantastic tale. One of the coolest things that happens is when Harry goes to Diagon Alley to purchase his school supplies for the upcoming year at Hogwarts. You get to go to Ollivanders and choose your own wand. 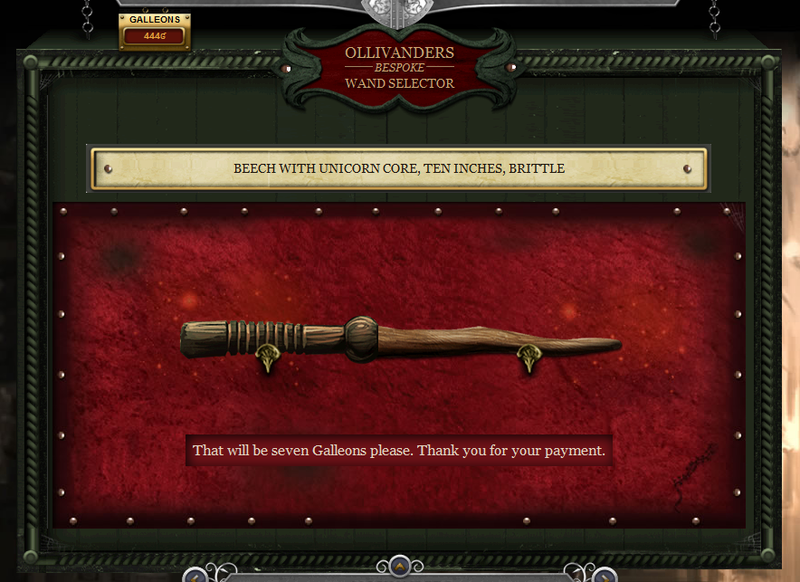 It’s a truly magical experience, as you soon get to learn why that wand was chosen for you! If you have early access to the site, you know it’s not perfect. It can be incredibly frustrating to get several error messages telling you to wait. None of my roommates thought I was funny. 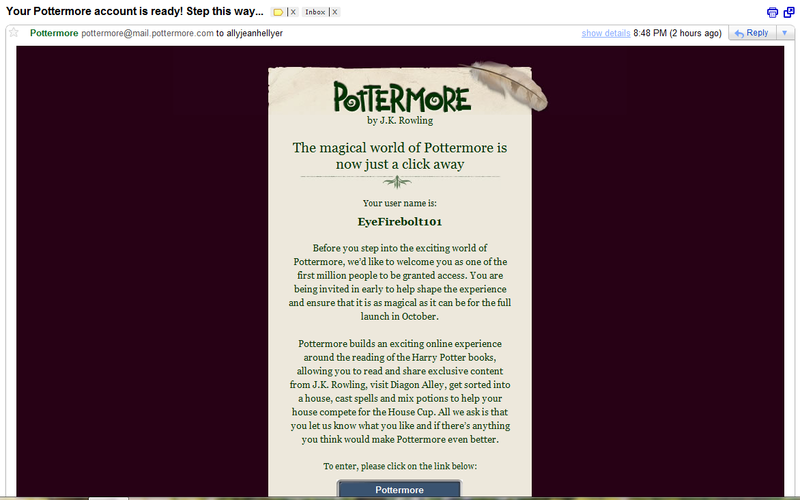 So, if you’re on Pottermore, let me know! I’d love to add as many friends as possible!